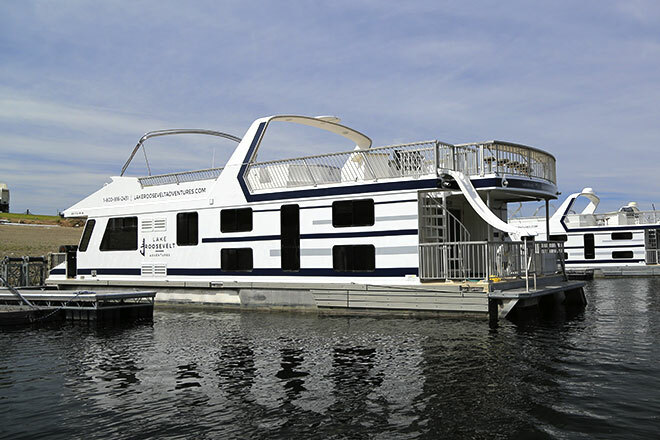 Houseboat reservations for 2019 season are now available! Keller Ferry Campground reservations is now open. It’s the greatest vacation adventure that ANYONE can experience! Just show up, and we teach you the rest! You don’t even need a special license. 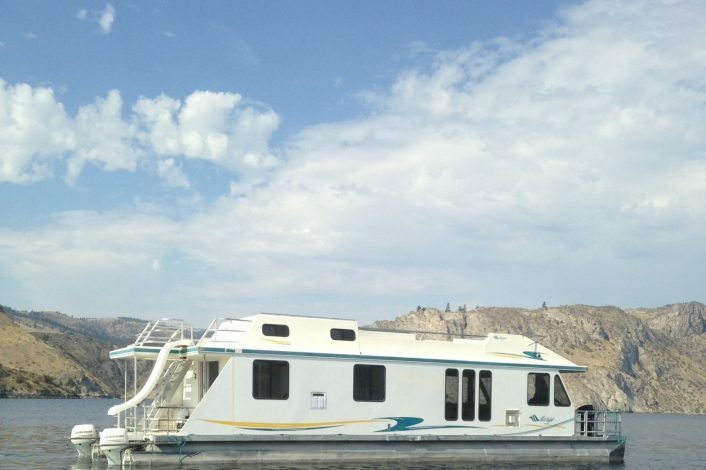 Well it’s quite simple – houseboating is life-changing. All five staterooms in the Galaxy Class feature a Queen-size bed. Cutting-edge electrical systems and the addition of a massive generator allowed the Galaxy Class to offer all creature comforts. Traditional Kitchen Appliances, Air-Conditioning, Hot Tub, Fireplace, Surround-Sound TV, Bridge-deck stereo with CD/MP3, and a Dryer. The Nova Class offers a larger Table, (4) additional Bar Stools, larger Sleeper-Sofa, (2) Lounge Chairs, and a larger TV. Beyond the obvious differences, the Nova Class also features Central AC, Satellite TV, and a Multi-Zone Stereo that includes sound to the beach and bridge deck. 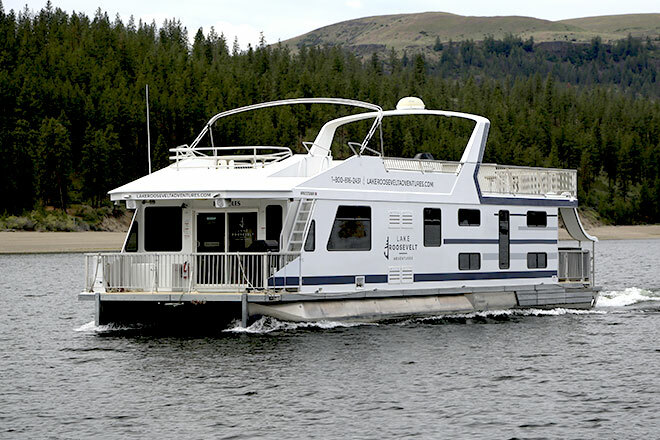 This comfortable mid-size houseboat measures 54′ in length and offers many of the amenities found on our larger Nova & Galaxy Class. Designed for smaller groups or single families, the Explorer class offers the same level of offerings as our other models, just a little cozier. 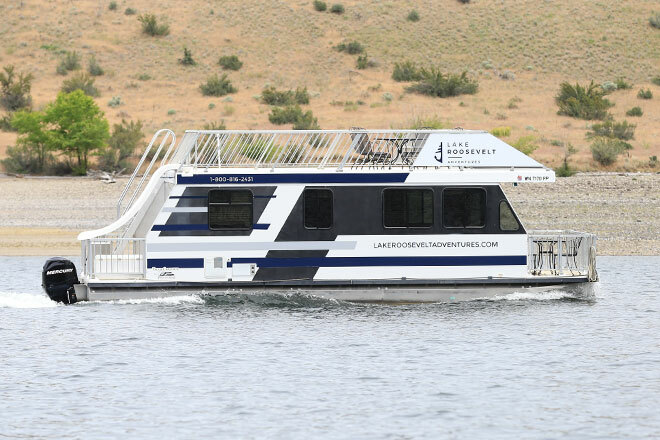 Guest Services, Inc. © 2019 | Lake Roosevelt Adventures is authorized by the National Park Service to serve the public in the Lake Roosevelt National Recreation Area.